What’s black, patterned, and awesome all over? 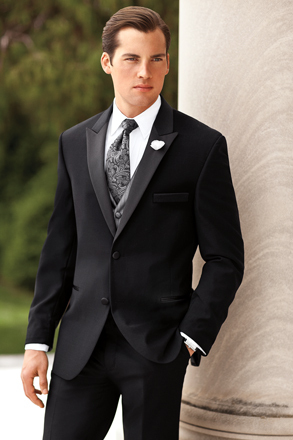 The black diamond ‘Illusion’ tuxedo coat by Jean Yves combines trendy fashion and classic tradition. With its thin satin “micro-notch” lapels, 1 button single breasted front, slanted satin besom pockets, and fashioned from a diamond jacquard patterned material, this tuxedo coat expertly mixes fashion and formal; perfect to commemorate your prom, quinceanera, wedding, or any other event you want to remember for a long time.